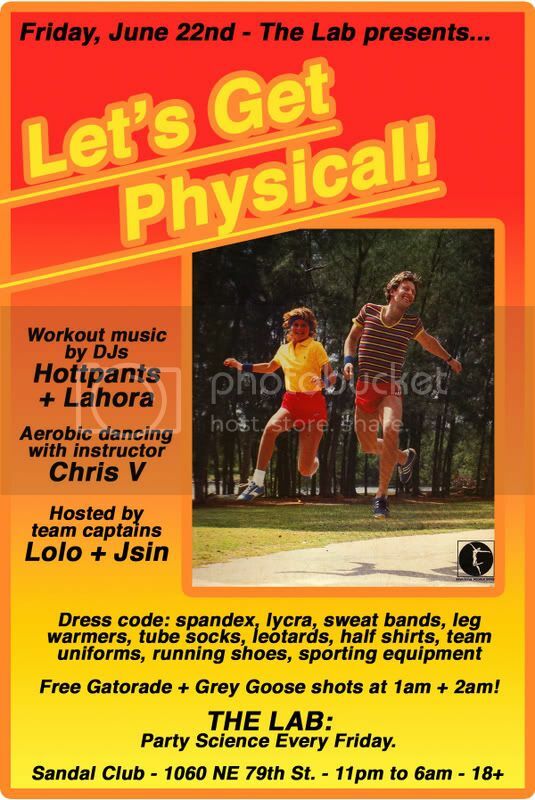 This FRIDAY we are going to GET PHYSICAL @ The Lab part of the Off the Radar party extravaganza! I am sorry, I have neglected dance music in the last few posts. I hope this makes up for it. Covering Olivia's 80's ode to leg warmers and spandex are The Black Ghosts on Southern Fried Records. We also got their newish single there also. There is a Playgroup remix of it that starts off of with the 2 Hype Brothers and a Dog's doo-doo brown beat before breaking into the electro goodness of The Black Ghosts. The sirens in the chorus are signaling that the dancefloor is about to blow up!